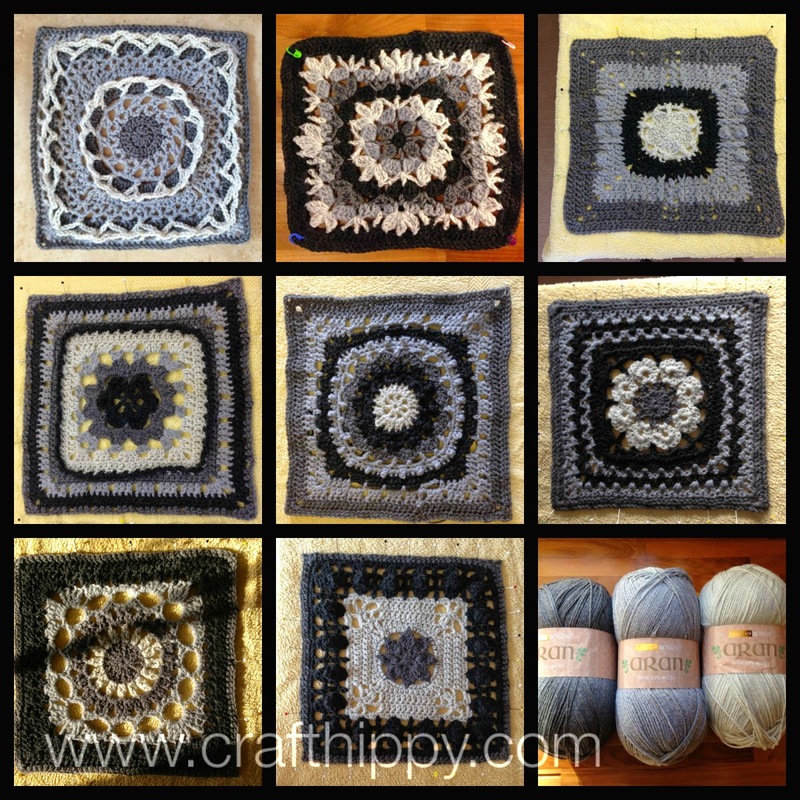 Having just completed my 8th block in the Moogly Afghan CAL I thought it would be a nice idea to show you where I am with it so far – courtesy of a PicMonkey collage. I am using acrylic yarn in four shades of grey and a 5.00mm hook but I think I might introduce a burgundy colour for joining them together and the border. If you don’t know what the Moogly Afghan CAL is – and let’s face it, why should you – Moogly is a blog I follow by a very talented lady called Tamara. She does lots of YouTube video tutorials on stitches and patterns and pretty much taught me to crochet. She has organised a CAL (crochet-along) which will last the whole year, with two blocks a month for people to follow if they wish. It’s a great way of doing a large project as it’s broken down and doesn’t feel too daunting – plus there are loads of other people doing it at the same time – there are pages on Ravelry showing everyones works of art and there is something good about knowing others are doing the same project at the same time! Your blankets going to be gorgeous Jane, such a clever idea to do it like this too. Hi Jane, Love the Mooglies! Thanks for also sharing the link to PicMonkey. I have been wondering how to do collages with text for my blog. I've had a bit of a try out this morning and updated my Facebook cover. I'll have a look at the CAL but I'm not sure I'm ready for it yet. Still doing Maybelle flowers.